We are an Iowa based company with Iowa based advisors who have Iowa values. We understand that the farming industry is the backbone of our local economies and that our farmers need our help. The farming and agricultural industry often involves risk and uncertainty. From unexpected natural disasters to major economic changes in the marketplace, many situations can affect the productivity of your agribusiness. We know that the success of your farm directly impacts the livelihood of you and your family. You’ve poured years of hard labor and honest work into your agribusiness, and when times are tough, you’ll need an agency you can depend on. With the right Crop Insurance coverage, you can protect your business and keep your farm afloat through all of the difficult times. Dwelling - For most people, a farm is more than a place to work – it’s also where you lay your head after a long day. Under the dwelling portion of your Farm Owners policy, Central Financial Group will help pay for damages to your home and any attached structures for all accidents and perils included in your policy. Personal Property - Your Farm Owners policy also covers losses that may arise due to the damage or theft of personal belongings such as clothing, electronics, or home appliances. Items used in daily farm operations such as machinery, automobiles, and animals are not eligible for coverage under the personal property section of your policy, as they require additional protection. Liability - Liability protection helps pay for legal fees, medical expenses, and other losses that you may be held liable for that result from covered injuries or damage to other people’s property. Further coverage options, including employee injury liability, are available for an additional premium. Livestock is also a big investment for farmers and ranchers alike, and like any financial asset, you’ll want to ensure a high-level of security and protection – so your animals will stay covered. We know that the health and safety of your animals directly affects the health and profitability of your farm. Livestock Insurance can protect you and your farm against the financial losses that could occur if your animals are harmed or killed as a result of a covered accident such as a fire, blizzard, or other natural disaster – even when your animals in transit. Livestock Insurance policies will vary from person to person, farm to farm, and animal to animal. The insurance value of each animal is usually its purchase price, but other factors such as performance level or value of your animal’s offspring can increase that value. A specialist at Central Financial Group can help you determine the right amount of coverage at a price that meets your needs. We’re dedicated to the success of your farm or ranch, and we understand that equipment breakdown can mean lost income. That’s why we design comprehensive insurance policies to keep farms running smoothly in the event of an accident. Equipment breakdown coverage goes beyond your standard Property Insurance policy to protect against damage caused by power surges, mechanical breakdown, motor burnout, and even operator error. As the owner of a successful agribusiness, your farm or ranch contains some of your biggest physical assets. Barns, machine sheds, and granaries are essential elements that keep your farming operations running smoothly, but in the event of a disaster, the loss of important property can disrupt business and be financially devastating. Protecting your buildings and your livelihood is easy with a Farm Structures policy. This coverage helps pay for the accidental loss of property used for farming purposes due to a variety of perils such fires and some natural disasters. 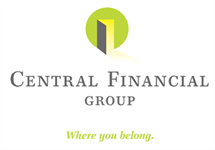 Central Financial Group knows that your farm is your business. And like any business owner, you’re faced with a certain amount of risk and uncertainty in your day-to-day operations. If an accident happens, in most cases, your standard farm owner’s insurance liability should take care of you. But when serious situations arise, you’ll want to make sure your business is protected. At Central Financial Group, our team of farm insurance specialists is dedicated to keeping your farm up and running, even after an accident. With the right farm umbrella coverage options, your business won’t have to miss a beat. And, as always, with our dedicated claims service, you can rest assured that our professionals will be there for you when you need it most.